Before USD 300,00 IVA Inc. This is a simple yet elegant crossover cross body-handbag for a lasting, easy wear for a day with style. Seams and flap for pocket in the front gives this bag a neat shape. Fully lined with Carolina's design pattern fabric.This is 100 % finished top quality, hand made selected bovine leather. -Top zip closure, four pockets, one inner pocket, two outer zipper pockets, and one magnet closure pocket. 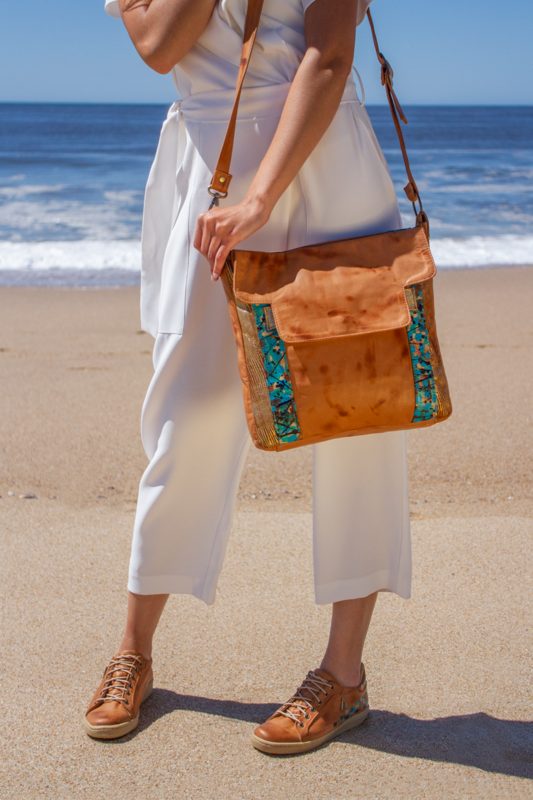 - Adjustable strap with 23" drop for shoulder or crossbody wear. - Measures: 12 1/2" (L) x 12 1/2" (H) x 2 3/4" (W). 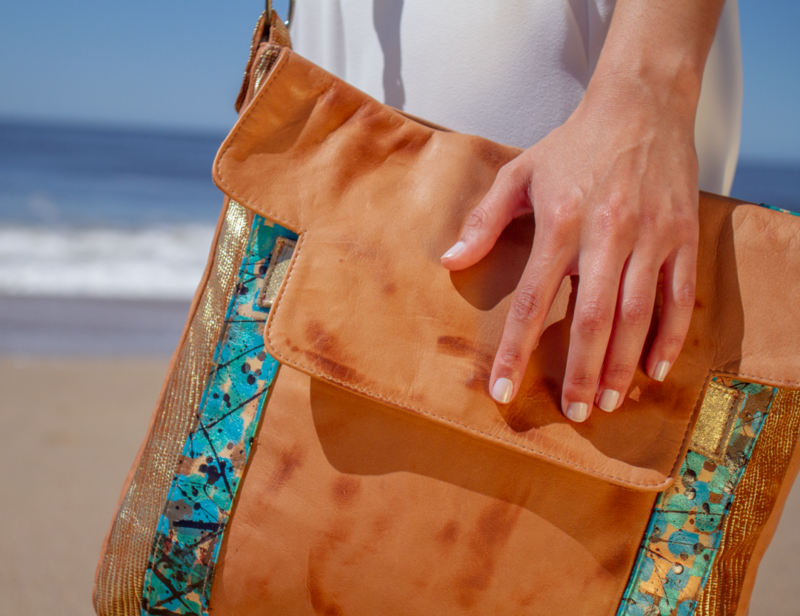 - Available color: Terracotta color leather with art.